Where did the term start? And why are we so obsessed with not spoiling things? Warning: This spoils everything! Maggie Fitzgerald (Hilary Swank), injured in Million Dollar Baby (2004); Catelyn Stark (Michelle Fairley) meets an untimely end in Game of Thrones (2013). "If you have not yet seen Million Dollar Baby and know nothing about the plot, read no further," wrote Roger Ebert wrote in 2005. It was a sentence elegant in its style and inelegant in its complexity — what the Chicago Sun-Times film critic meant by those 18 words could have been communicated in two: "Spoiler alert." When did the conditional clauses of the past condense to two words? In the same 2005 column, Ebert ventured a vague history: "A few years ago, I began to notice 'spoiler warnings' on Web-based movie reviews — a shorthand way of informing the reader that a key plot point was about to be revealed." Phillip B. Corbett of the New York Times wrote in 2013 that the "colloquial, even cutesy, phrase became popular some years back," noting in a graph that the Times first used it in the early aughts. Not coincidentally, TiVo, the DVR company, released its first commercial product in 1999, making it easier to watch shows after their original air time — and easier for people watching on their own schedule to be offended by spoilers. The spoiler alert's apparent first time in the Times was for a plot development in a television show, all capitalized and in parentheses as "(SPOILER ALERT!)." Google Trends displays negligible searches for "spoiler alert" in January 2007 — the numbers after that then begin to climb. Notably, 2007 is also the year the word "streaming" became a significant search term and the year Hulu was founded — i.e., the year that it became easier (and more legal) than ever to watch TV shows on your own schedule. Ebert himself seemed to favor "spoiler warning," although he apparently used the term "spoiler alert" in 2001 (with an exclamation point, no less!). A search of Google's Usenet Archives shows the term in use throughout the '90s, while the term "spoiler" shows up at least as early as 1981. At the beginning of 2013, Lake Superior State University put "spoiler alert" on its annual List of Words to be Banished from the Queen's English for Misuse, Overuse and General Uselessness. 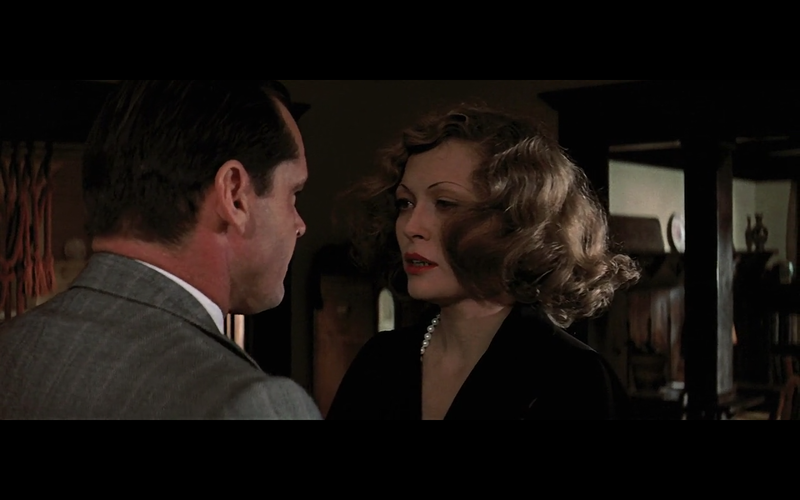 J.J. Gittes (Jack Nicholson) confronts Evelyn Mulwray (Faye Dunaway) in Chinatown (1974). "It feels like it's been part of our collective life since the dawn of time," Matt Zoller Seitz, television critic at New York Magazine and editor-in-chief of rogerebert.com, told BuzzFeed, noting that he despises the phrase. "I just hate it," he said. "It sounds like something a character in Clueless would say." "He said, 'I can't believe that Luke and Leia are brother and sister,'" Seitz said, "and I hit him in the stomach." Keith Weiss, a software developer based in Washington, D.C., has also struggled with spoilers. Weiss never watches Game of Thrones live, and after the Red Wedding episode aired, he had to wait two weeks for his girlfriend to return (they always watch it together). Determined not to learn the outcome of the episode, he spent a weekend coding with his friend, Trevor Moore; they developed the application Unspoiler, which blocks you from seeing things online based on keywords you input (e.g. "red wedding"). "I don't even like to watch a TV show until the whole series is over," Weiss said, detailing his frustrations with shows like Deadwood and Firefly that abruptly end or are canceled. "I end up being five years behind sometimes on a TV show." A large portion of his app's users are blocking the outcome of sports games, he said. One user never wants to see anything that contains the term "final scene." Oedipus (Louis Bouwmeester) gouges out his eyes. Whether or not you know that Bruce Willis' character in The Sixth Sense is dead doesn't change the film, it only affects your personal level of surprise. There is a certain cultural logic to spoiler-adversity: Our individualist times emphasize the feelings a product produces in the individual over the product itself (e.g., a car that makes you brave), so perhaps it stands to reason that anything perceived to interfere with the pure experience of those feelings would be terrible, regardless of the fact that a spoiler doesn't actually affect the movie itself. Seitz suggested that the entertainment industry encourages mild hysteria. "I feel like Hollywood is abusing our collective sensitivity around spoilers to create excitement about movies that aren't very good," he said, citing director J.J. Abrams' false denial that the villain in Star Trek Into Darkness was Khan. It creates "an aura of secrecy around it like it's the Pentagon Papers," he said. Furthermore, people have no call to get upset over certain types of spoilers. "Nobody goes into a Western thinking, 'I wonder if this ends in a gunfight?'" he said. He brought up the the end of High Noon — the gunfight embedded in the very title of the film. "High noon is not the time when they get together and eat bagels and cream cheese." The statute of limitations on spoilers is a nebulous area. Seitz began a Jan. 17 article with a somewhat snarky spoiler alert: "Can we assume that an adaptation of a book that sold 40 million copies does not require a spoiler-sensitive review? We can? Good." On the phone, Seitz asked, "'Hamlet kills his mother' — do you add a spoiler alert before that?" Seitz clearly believes that spoilers exist (see: the summer of 1983 when he punched that kid in the stomach), but a University of California, San Diego study published in 2011 suggested that spoilers don't even spoil things for people, and that knowing the outcome of a story can enhance your enjoyment of the story. "Monet's paintings aren't really about water lilies," an author of the study said in 2011. The contemporary New York Times review of Psycho nearly spoils the movie: "The young man who diffidently tends [the hotel...] is a queer duck, given to smirks and giggles and swift dashes up to a stark Victorian mansion on a hill. There, it appears, he has a mother — a cantankerous old woman — concealed." It appears he has a mother? Still, the way the writer attempts to dance around the subject points to a reverence for the surprise of the twist. Audiences were upset when film critic Gene Siskel revealed a twist in 1992's The Crying Game. It seems odd that people who persist in seeing movies because the satisfying ending is patently obvious (including every romantic comedy ever) would be upset about having plots spoiled. According to Agatha Christie's grandson, the mystery novelist did not appreciate having her plot twists revealed; in the ancient Mediterranean, for example, this would not have really been an issue. On a personal level, I was inclined to think that spoilers do not exist; I could not recall a time a spoiler really upset me. But then I remembered the summer of 2003 when I was in middle school and J.K. Rowling's Harry Potter and the Order of the Phoenix came out. I wasn't finished reading it when my sister's friend Maya looked me square in the face and said, "Sirius dies." I was enraged. But I can't say that the foreknowledge diminished my sorrow when he died. On the contrary, every time he appeared, I feared it would be his last appearance, and the pain when he was finally gone was only sharper.